Currently, doctors prescribe Fioricet for tension and migraine headaches. In any case, they occur when muscles contracts. This is the primary drug offered for relief to intense headaches. People have used Fioricet for over thirty years after their approval by the FDA in 1984. They make Fioricet from Acetaminophen, Butalbital, and Caffeine in varying degrees of measurement. These days, people mostly use Acetaminophen to relieve pain and reduce fever. Butalbital is a barbiturate. It helps reduce contraction of muscles which cause tension headaches. In this case, it induces relaxation and lessen anxiety. Caffeine stimulates the CNS and effects the blood flow through the blood vessels. In addition, it helps increase the effects of Acetaminophen. Incidentally, there is also a version of Fioricet which contains 30mg of codeine. It comes with an increased dose of acetaminophen to 325mg. Notably, this prescription carries a “black box” warning. This has a strong tendency toward liver damage. Unfortunately, here have been cases where using or abusing Fioricet has proven fatal. This is despite its myriad benefits. What Kinds of Cautions do you Need When Using Fioricet? If you are pregnant, we urge you not to take this drug. At the moment, we do not know if using Fioricet will cause any harm to your unborn child. However, some health experts claim that your baby could be born addicted. If the baby is an addict, the withdrawal symptoms could be life-threatening. The excessive Fioricet use by the mother has many dangerous effects on the baby. For example, there are reports of miscarriage as well as fetal growth. Likewise, if you are a nursing mom, Fioricet may cause restlessness in a newborn. Elderly patients (those over 60) may feel depressed after taking Fioricet. Therefore, strict adherence to the instructions is imperative. Furthermore, patients with insomnia should not take it. In children under 12 years of age, doctors should prescribe dosage based on their weight. The CNS effects could be more adverse in children. You should also take caution if there is a diagnosis of seizure disorder. This ingredient can be damaging to your liver. It can cause the need for a transplant or even death. The cause of most of the injuries are by taking more than 4 grams (4,000 milligrams) a day. Also, it possibly include other drugs containing Acetaminophen. Fioricet capsules contain 50mg Butalbital, 325mg Acetaminophen and 40mg of Caffeine. It also comes with twelve inactive ingredients. There are certain medications that you should avoid. This is during some periods of time when eating certain types of food. Something as common as cabbage can affect how the drug acts in your system. Notably, your doctor may have different instructions when taking this with various foods. They include over the counter drugs and vitamin supplements. The dosage is usually oe or two capsules every four hours. Moreover, you should take no more than six capsules a day. They base it on your medical condition and age. Also, they might include the possible response to the medication itself. The first sign of a headache is the time to take it. To wait until you have a full-fledged headache could weaken its effect. Which Warning Signs of Fioricet Prompt Visit to the Doctor? Sometimes, there might be the first appearance of any of these signs after taking the drug. As a result, you should consider getting an appointment with your doctor. This way, you can discuss whether you should continue taking the drug or not. Which Side Effects of Fioricet Requires Emergency Room Care? It’s a known fact that Fioricet can be habit forming. Prolonged use of high doses may create psychological and physical dependency. The usual dosage is around 1500 mg per day. Are you having any medical tests scheduled? Sometimes, taking this medication may affect the results. As the body builds up a tolerance to the drug, you need a higher dosage. In addition, if you drink alcohol with Fioricet, the amount needed for a lethal dose lessens. Major withdrawal symptoms can start as soon as sixteen hours after you stop taking the drug. In fact, it can last up to five days. These major symptoms include convulsions or becoming delirious. After fifteen days, the intensity of these symptoms begins to go away. You should do the withdrawal under the supervision of your physician. Above all, you should do it slowly. Have you started to feel that you “need” to increase the dosage or frequency of taking? 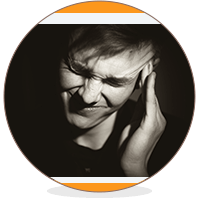 Are your headaches starting to get worse or happen more frequently? (having two headaches a week) This is despite taking the normal dosage. In these cases, the medicine may not be working as they intended it. As a result, your physician may add an extra drug to prevent the headaches. Acetaminophen in Fioricet can be life-threatening if you take it in excess. Even the low dose of 4,000 mg has caused severe liver damage. In fact, acute liver failure leading to death is evident in cases of ingesting 10,000 to 15,000 mg.
To treat an overdose of acetaminophen, doctors use N-acetylcysteine. You can take it as a mist, intravenously and orally. Currently, the World Health Organization (WHO) consider it an “essential medicine”. Furthermore, it is one of the safest and most effective medicines out there. Thereofre, they list it as necessary to the health system. As with any medication, abuse and addiction are possible. Always inform your doctor of any changes to how you are feeling when taking Fioricet. If you have been taking it for a long period of time, get help from your physician to stop taking the drug. Cessation should not be undertaken without medical and or psychological guidance. Withdrawal can be severe, and getting help is one of the best and safest decisions you can make for yourself.